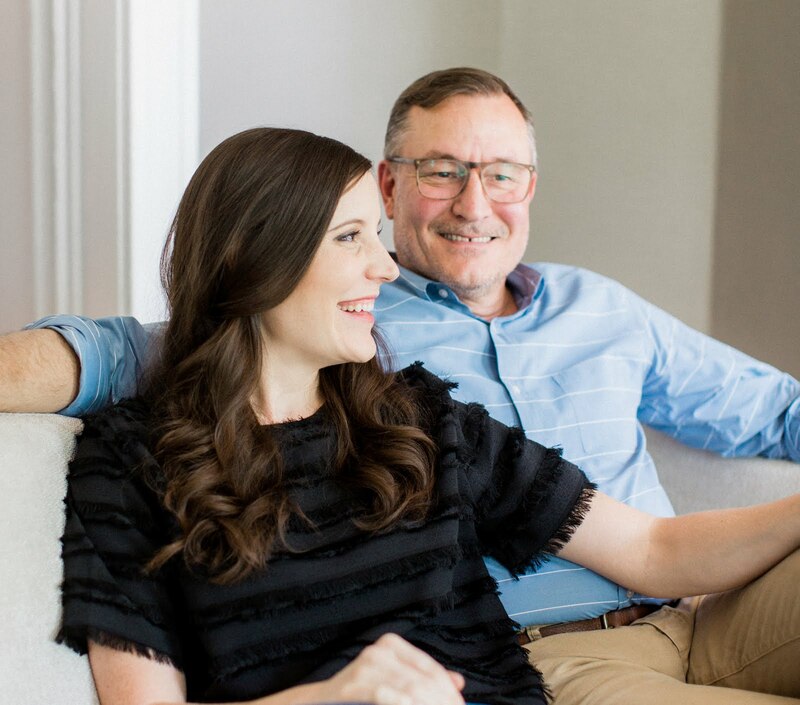 As mentioned a few times here in the past month, Mary and I have been eager to get back outside and get our urban gardening projects going again. 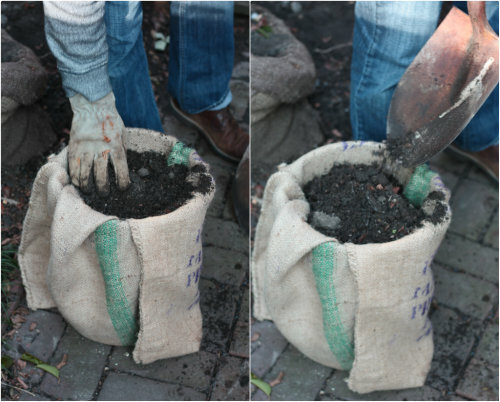 While it's still too cold for most projects we've been tackling a few smaller plantings we'd hoped to get to. One we have high hopes for is the horseradish root we just planted. 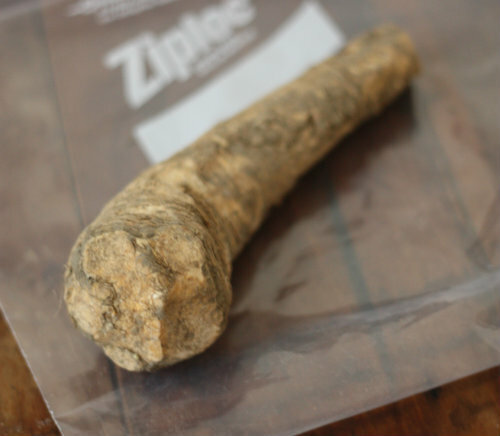 The picture above shows what horseradish root looks like straight from the grocery store. 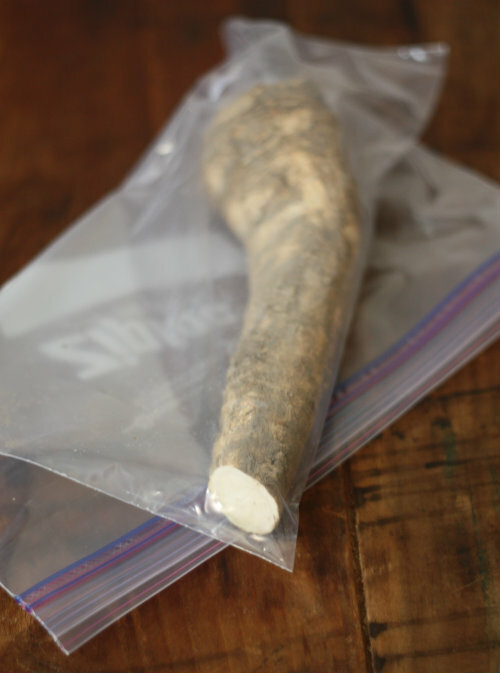 We've been excited to try growing horseradish root for a few reasons. First off, it's a perennial, meaning it will come back every year without us having to do much at all — you just dig up the root after each growing season and cut off what you need before putting it back under the soil. It's also supposed to be a super low maintenance plant once planted if left in a sunny area with occasional watering. 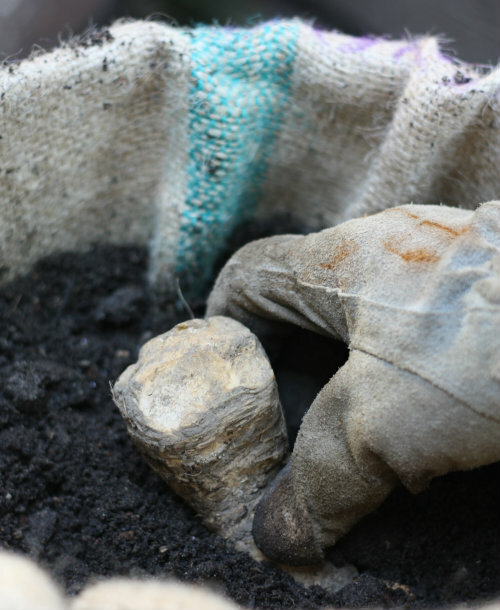 In researching how to plant horseradish, we also learned of the root's many health benefits, and that it's a member of the Brassicaceae family, which also includes mustard, wasabi, broccoli, and cabbage. But by far the best part? I'll now have an unlimited supply of fresh horseradish to grate into my Bloody Marys from here on out. Just joking. Kind of. Aside from Bloody Marys, horseradish can be used in a variety of culinary ways — which of course I'm excited about. 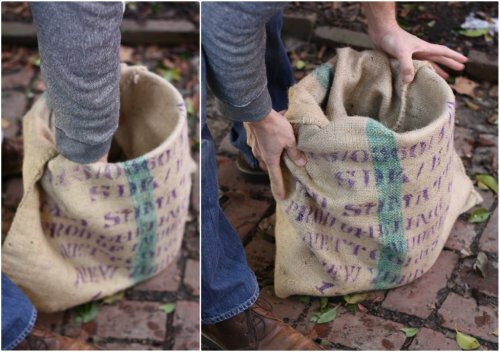 If you're not grating the entire root at once, it can be stored and used for months by keeping the main root in a sealed zipper bag in the refrigerator. Just cut off the pieces you'll use to grate and keep the main root sealed and stored. 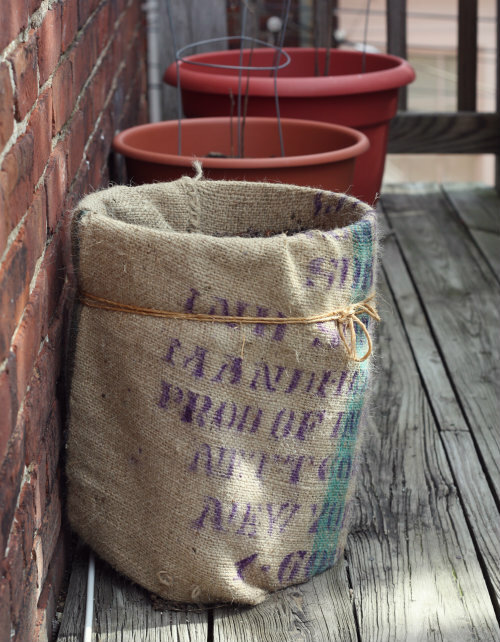 We've heard it's also a plant that takes really well to container gardening since the leaves and roots can spread and take over the area of ground it's planted in otherwise. 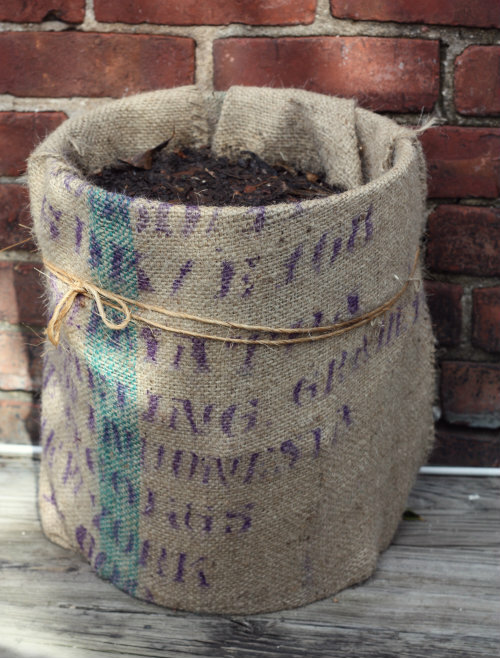 Also, the leaves can get up to 5 feet tall, which would look pretty awesome coming out of a container, right? 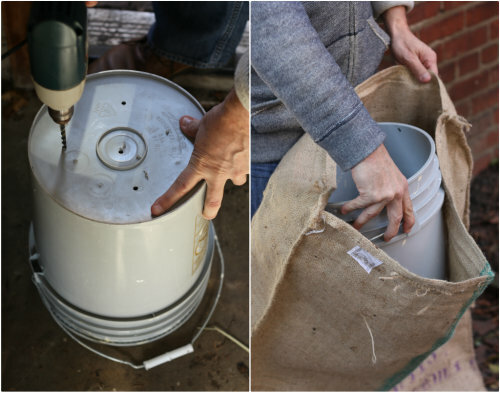 Since we wanted to give the root ample space to grow and multiply, we decided the size of a paint bucket would be just right for what we needed. 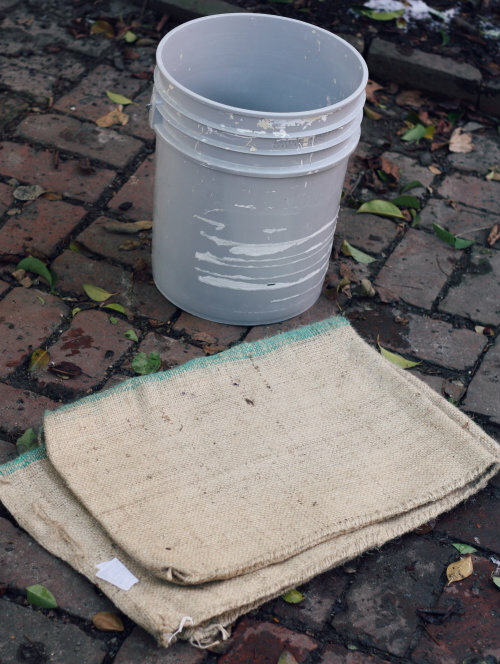 Our neighbors are painters and always have extra buckets they pass over the fence our way, so we've got a good little supply of buckets going. 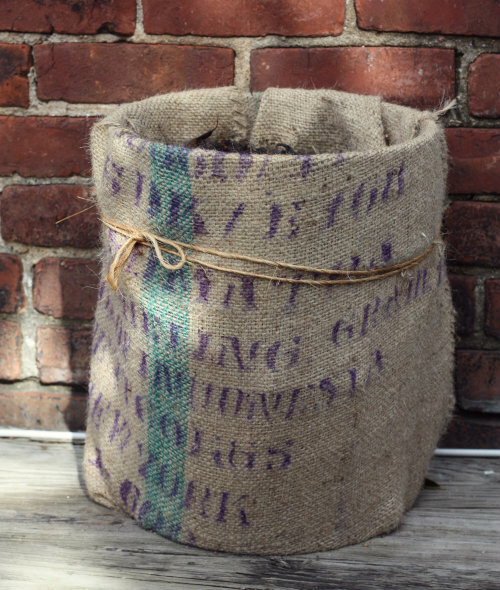 Once inside, I inverted the upper portion of the coffee sack inside the bucket and wrapped the remaining bag neatly around the sides. 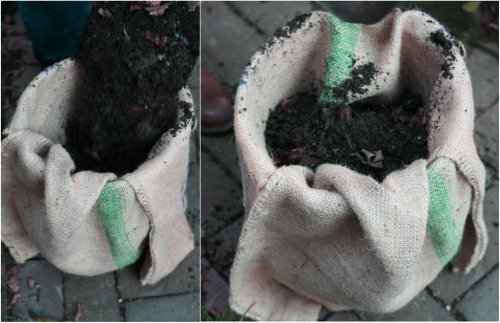 Not only will the coffee sack disguise our little paint bucket secret, but should help provide another layer of good drainage for the soil. 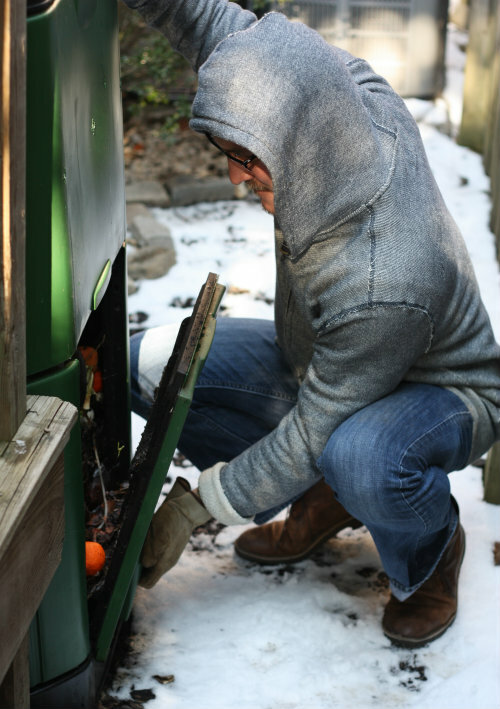 Speaking of soil, we were finally able to use some of the compost we've been building up over the past year from our compost bin! I told you it was still cold here in RVA — yes that is snow on the ground! 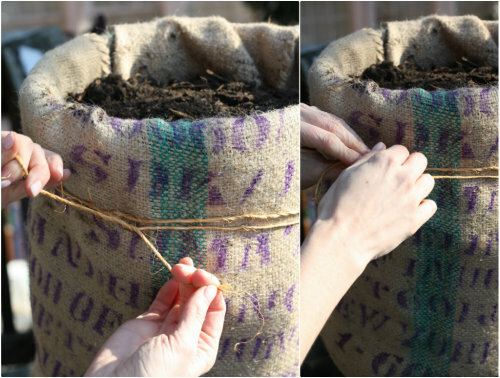 The only trick to planting it is in making sure to place the root in the dirt at a 45 degree angle with the top of the root facing up — you don't want the bottom of the root facing straight down. 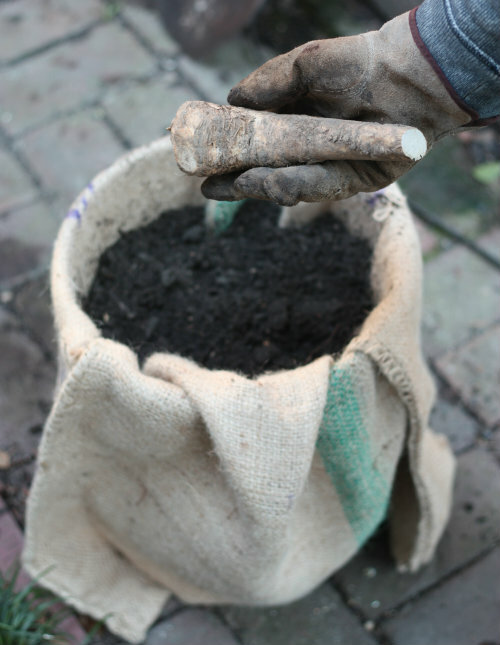 The wider tip is almost always the top of the root, where the leaves will sprout from. So this is where we are currently! All planted and ready for this little horseradish root to begin working its magic underneath the soil as we head into what the groundhog predicted as an early spring. We're loving the idea of such a low maintenance plant with so many added benefits — we'll be sure to keep you posted as we progress (or don't) with this guy. In the meantime, I'll be dreaming of future Bloody Marys, raw oyster toppings, and a side for steak with that fresh added horseradish kick. i found this a most interesting article and have tried for the first time and ive suceeded,i didnt know you can brighten up meaty meals by using a small amount on the meat while cooking it really livens up the end result. Any follow-up on your horseradish planting? I've a root we picked up at the grocery yesterday, and want to get it into the ground. We just talked about this over the weekend! We will make sure we get around to this sometime this week and have an update next. Thanks for the push! I just stuck mine in the ground and by the end of the season, it was two feet tall and wide. The flowers smell like horseradish and the leaves have a bite. Yes, exactly like ours did! Good luck! I have heard that it spreds out and can take over in the garden, so your idea of container planting is very good.